As much as I love eating at hole-in-the-wall Korean restaurants, I can't deny there are times I just find it troublesome. Since I live way up in the northern metro, I can say I don't really have easy access for a quick fix. However, a trip to Chef's Noodle, a fast casual dining restaurant all the way from South Korea, can definitely solve the problem for me. Sure, Chef's Noodle doesn't really offer traditional Korean fare as it specializes in serving noodles, sushi, and rice meals. However, I can't deny that it satisfies my Korean food craving in a certain way. When I'm just needing my dose of kimbap or japchae, it's reassuring to know that Chef's Noodle has it. 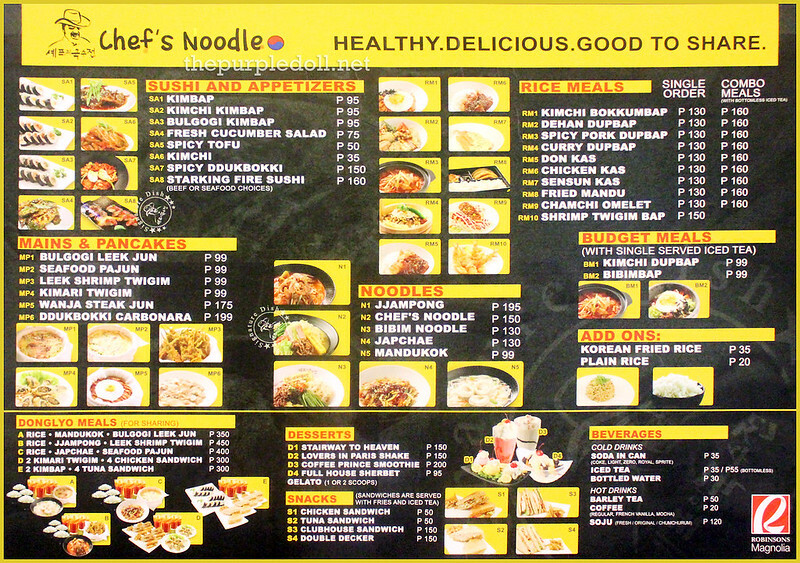 No need to go all the way to Korea Towns in Quezon City, Manila or Makati as Chef's Noodle can easily be found in malls. 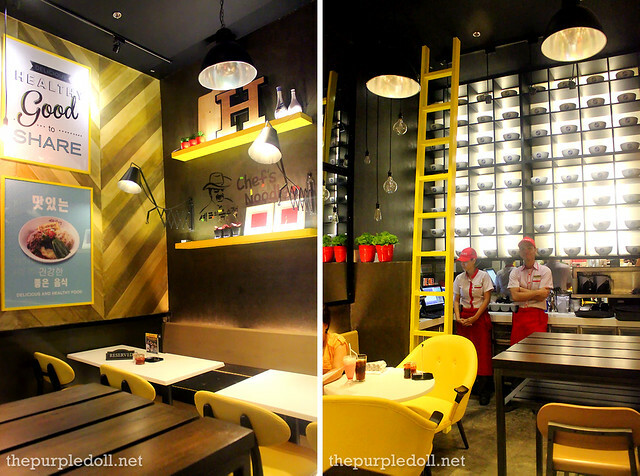 Last year, I got to try Chef's Noodle for the first time in its first store inside University Mall along Taft Avenue. Fast forward to 2013, it now has 3 additional branches: Atlanta Centre in Greenhills, San Juan, SM City North EDSA, and Robinsons Magnolia. 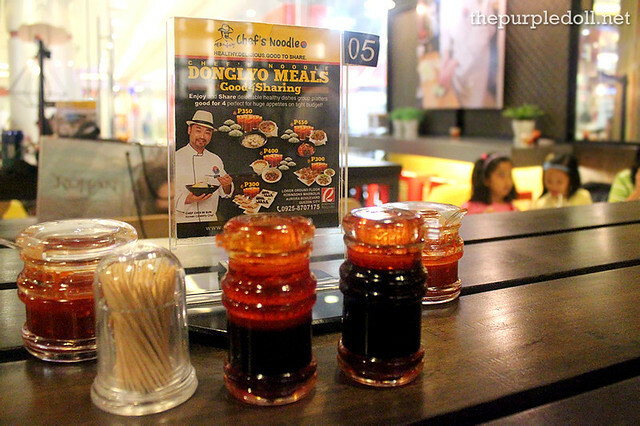 A few months ago, I got to visit Chef's Noodle at Robinsons Magnolia located on the lower ground floor and sits just beside Robinsons Appliances. Unlike the one in University Mall, this particular branch has catchy contemporary design. The moment my sister and I went in, our eyes were instantly captured by the pops of yellow here and there. To start off our late lunch, we ordered the Starking Fire Sushi which is my ultimate favorite item from Chef's Noodle. This signature dish by South Korean celebrity Chef Choi In Sun, has 5 pieces of raw beef on sushi rice. The server then cooks the beef on the spot using a blowtorch, and according to your preferred doneness. And this dish isn't just all gimmick! It tastes good, tender and flavorful. No need to add wasabi anymore. As if we didn't get enough of the sushi, we had the Kimbap which is another kind of Korean sushi. Every serving comes with 10 generous pieces of nori-wrapped sushi rice with Korean ham, eggs, cucumber and pickled daikon radish. It's also topped with mayo and sesame seeds, and comes with soy sauce, wasabi and even some free kimchi. For our main course, we had the Chef's Noodle which is the restaurant's signature noodle dish. This bowl has flat noodles cooked al dente in a flavorful and mildly spicy beef broth. 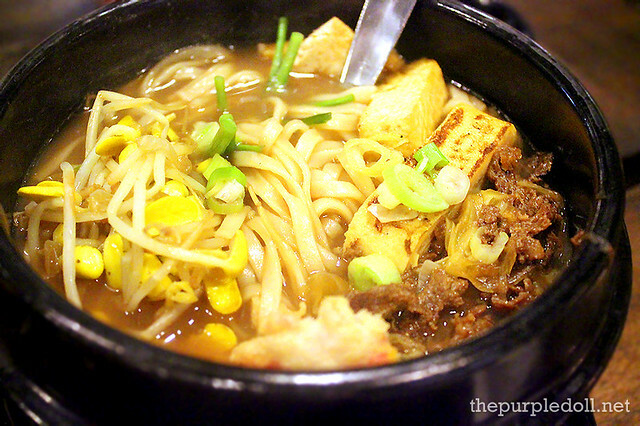 It also has generous amounts of toppings -- beansprouts, fried tofu, kuchay, beef bulgogi and egg roll. Although this noodle dish is not really extraordinary, this is definitely a good fill for its price as it can easily satisfy taste-wise and portion-wise. Since my sister loves anything carbonara, she jumped into ordering the Ddukbokki Carbonara upon seeing it on the menu. We were in luck though as this is a new item at Chef's Noodle. If you didn't know yet, ddukbokki are soft Korean rice cakes usually eaten with a spicy sauce. In this case though, it was given a pasta treatment as it's immersed in a creamy carbonara sauce complete with bacon slices and mushrooms. And although I'm not really a white sauce lover, I liked it, while my sister loved this! 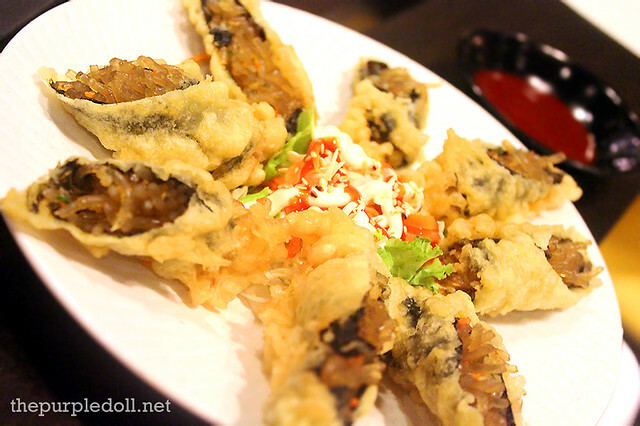 We also had the Kimari Twigim -- a serving of japchae wrapped in nori then fried with tempura batter. While this is a really nice dish on its own since it's crunchy on the outside and soft and japchae-y on the inside, the dip (read: banana ketchup) that it comes with put me off. I'm not sure if they already serve this with a different dip, but I think I would've enjoyed this more with either a tempura dipping sauce or even with some Japanese mayo. Hot sauce might be okay too, but what I did was eat these with kimchi. If I'm not mistaken, Chef's Noodle doesn't offer desserts the last time I visited them (last year). This time though, I was really happy that they started offering Gelato or Italian ice cream. 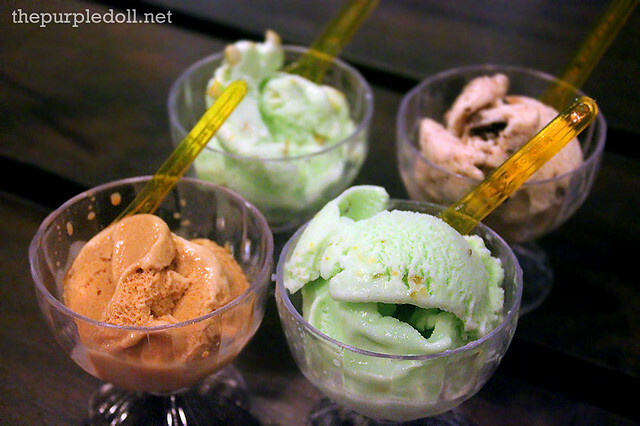 I'm not sure about the other flavors they offer, but as far as I know, they have Pistachio, Coffee Cappuccino, and Cookies and Cream, all of which are creamy, subtle in flavor and not so sweet; my kind of ice cream if only it wasn't as icy. 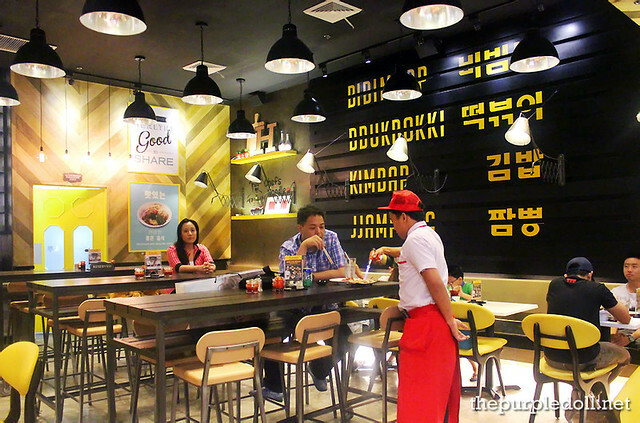 For the second time, Chef's Noodle has proven to be a trusty fast-casual Korean restaurant serving good food without breaking the budget. For more or less P100, you can already get a pretty filling meal! The Robinsons Magnolia branch had some hiccups in terms of service though as some staff were less alert. But given they're no longer on soft opening now, I'm hoping that service had already improved. Nevertheless, I see myself coming back again for another fast but enjoyable Korean meal as Chef's Noodle definitely knows how to give a good bang for the buck. Now that I got to try Chef's Noodle not just once but twice, I'm giving you the chance to get a taste of affordable but good Korean fare. So join now as I raffle off a P1,000 gift card to 1 very lucky winner who can well treat not just him/herself to Chef's Noodle's dishes, but also bring along the family, the barkada, or the special someone. Prize: (1) winner of P1,000 Chef's Noodle gift card valid for food and drinks at the Robinsons Magnolia branch until November 24, 2013. Be a Metro Manila resident or someone (even not within Metro Manila) who can actually use the prize before its expiry, or have a person you'll give the prize to in case you can't use them. The giveaway raffle will run from today until November 11, 2013. The winner will be drawn, announced and contacted the next day, November 12. So what are you waiting for? Join now and get a taste of South Korea's Chef's Noodle! Disclaimer: The prize was provided by the good folks from Chef's Noodle Philippines. I super like the kimari and japchae!!! Which Chef's Noodle dish or dishes would you like to try the most? To be honest I haven't eaten in any korean restaurant so this will be another first and I would love to try Starking Fire Australian Beef Sushi and Ddukbokki Carbonara. I would definitely try their japchae (one of the first thing i would order in a korean resto), jjampong and their gelato as well i wont say no to a good dessert. i would like to try the Chef's Noodle! 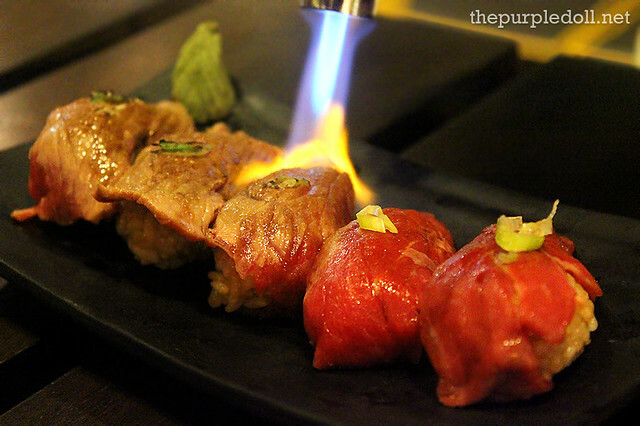 I would love to try their Starking Fire Australian Beef Sushi! They look so awesome! 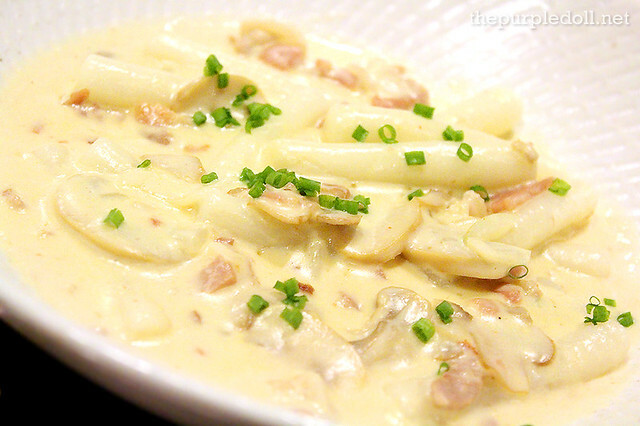 I would love to try Chefs Noodle's Ddukbokki Carbonara! Which Chef's Noodle dish or dishes would you like to try the most? Kimbap! I'd like to try their signature dish which is the Chef's Noodle. I'd love to try Ddukbokki Carbonara looks yummy!! I'd like to try their signature dish.. Chef's Noodle! ddukboki carbonara looks interesting It will be on top of my list if ever we get to eat there. 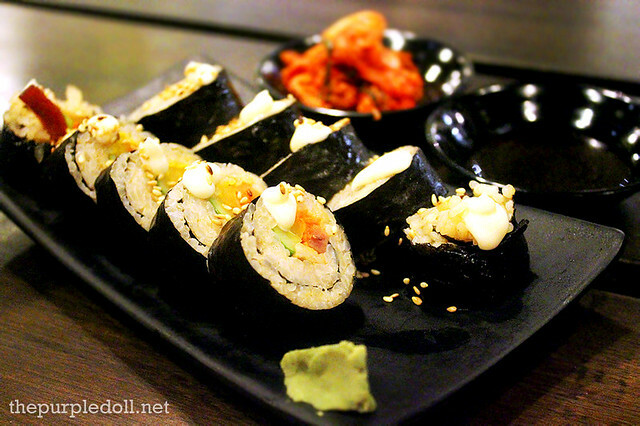 I would love to try the Starking Fire Australian Beef Sushi and Kimbap.. Looks so delicious.. hmm.. yum! yum!